Single large map. Good texturing and environment design. Kill enemies, explore the well designed map, find the buttons to open doors. Not bad, until you end up where you started. ?? I’ve added 6 screenshots, kindly supplied by piledriver. Wasn’t this called “Experimental issues”? Nope, “Experimental Problems” is the right name. Where do I start? First off, that’s a really huge map! After I pushed that button in the beginning and all hell broke loose, I could easily reach the power button to turn it off which I did and I thought the game was over. In fact, it was. But there were still huge parts of the map to check, which I did, to finally end up to that same power button.. Weird. It was all so very confusing, especially the catwalk that goes both ways, it’s symmetrical but the sides look exactly the same and even when you’re up there, it’s hard to tell you can go down another way. There are some visible parts that make you look for ways to get in there. But some are inaccessible until a FIX point in time, it was like time traveling on those catwalks. I killed the grunts, went through one door, did my thing, came back to the catwalks and other grunts were there, out of nowhere. This happened about 4 times. And there were so many times when I didn’t know what to do, because of the size of the map, what door should I check next, maybe in time something opened so I ran around in circles. Finally I noclipped to notice something that simply made me curse the author. A door wouldn’t open because the button that opens it was to it’s left, behind the wall. Now why would I press “Use” on a wall?! I simply don’t know if I liked it, or hated it. I feel like it was messing with my mind, temper and time. But the ideas are great, especially the main one, that you have to travel so much to reach something that’s standing right in front of you, couple of feet away. Too bad that catwalk had a baluster or handrail or whatever they call it and I could make that jump so soon. It’s hard to express yourself and put your ideas into practice and this author almost succeeded in doing this. You should “Play this later”. I actually found this map because of one big mapping error so I expected it to be poor, but it was actually pretty fun. I managed to find three areas in this map where it is possible to bypass huge sections of it, and judging by the way it was made I am sure that there are a lot more, but excluding these it is enjoyable. The first part had a great Black Mesa look, but the rest of it didn’t which was a shame, I feel the author could have done better because many areas tried to look like BM but failed. The gameplay was the best part of the map, which was mainly combat but with the odd puzzle here and there. The combat was pretty tough too (although I didn’t realise I ventured through the map the wrong way) with many enemies in big open spaces which is tough when your main weapon is the shotgun. I thought the puzzles were well done myself, although simple. It’s a fun mod as long as you don’t bother hitting the power switch at the beginning. I played this one way back when it was released. It’s memorable, but not really in a positive way (although the name did escape me in one of the 100 Days of Summer podcasts where I talked about it). It is possible to end this map almost immediately after it starts, simply by making an unexpected jump. Assuming you actually play through the map and don’t end it before it really starts, it’s not too bad. 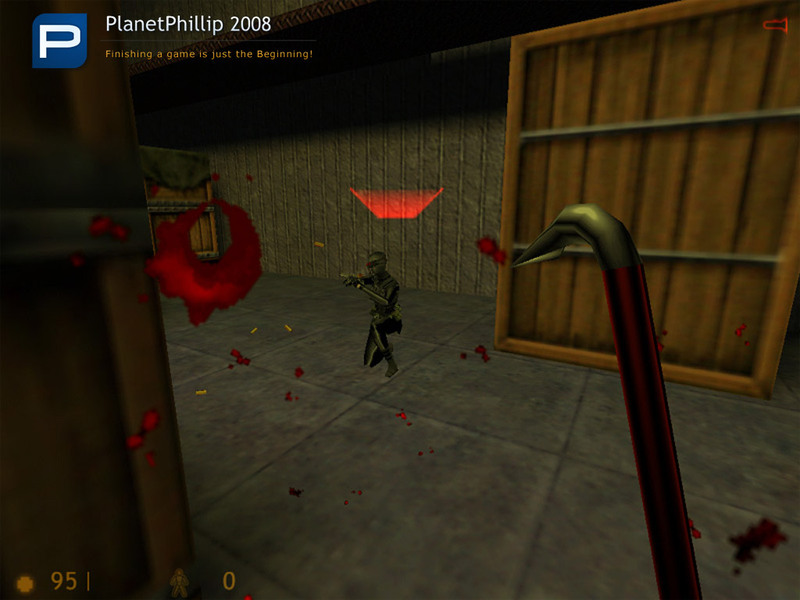 The mapping is Black Mesa style and a little blocky, but the layout of the map is pretty interesting. There is quite a bit to explore and you can take quite a few different paths through the map. Unlike WYW mentioned above, I found the shotgun ammo to be pretty scarce in my play-through so my main weapons were the 9mm and the machine gun which are better at a distance. It can still be pretty challenging depending on your path, though – and it is possible to bypass entire sections. Besides the “bug” I already discussed to end the map early, there were a couple others that should have been fixed. For example, if you ride the crate delivery system to its end you’ll get permanently trapped with no way to proceed. Overall this one was memorable but not really for its quality. 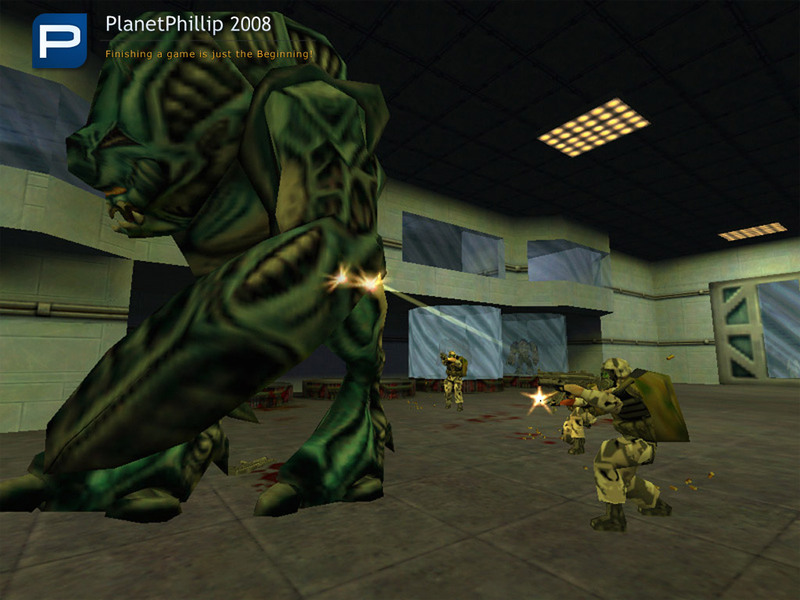 That said, it’s not a bad time – although this author went on to make much better stuff for Opposing Force. It’s a good mix of combat and puzzles. You always know what to do, but how to accomplish your mission can be a little harder than you might first thought. Doors are locked, you have no weapons for defense so you have to be fast to avoid the enemies, until you can finally “feed” them. There are some cool ideas in the meaning of nice layouts and puzzles. After finally finding some useful weapons you start to decrease the number of any danger you will encounter, such as turrets, human grunts and aliens, did I mention a Garg and assassins yet? Good luck! Some scripted sequences will also make it a little tougher. But then you will miss about 95% of the map, as it’s your primary objective to shut down the power there. There are even more design oddities like some strange and just non-logical areas, for example a little maze. The cool thing about it is, that it’s ceiling is made of glass, and you can simply walk over the maze when being in that room above the maze, checking out what’s below. All in all, it was fun to play because I liked the puzzles, tough combats and rewards in form of weapons when you are curious enough to find them. Balancing is very good in my eyes due to the mentioned combat and quite less healing possibilities. Experimental Problems begins much like the original Half-Life story: you are Gordon Freeman, and an experiment has gone terribly awry, opening a rift through which aliens are entering the Black Mesa Bioweapons Research Laboratory. 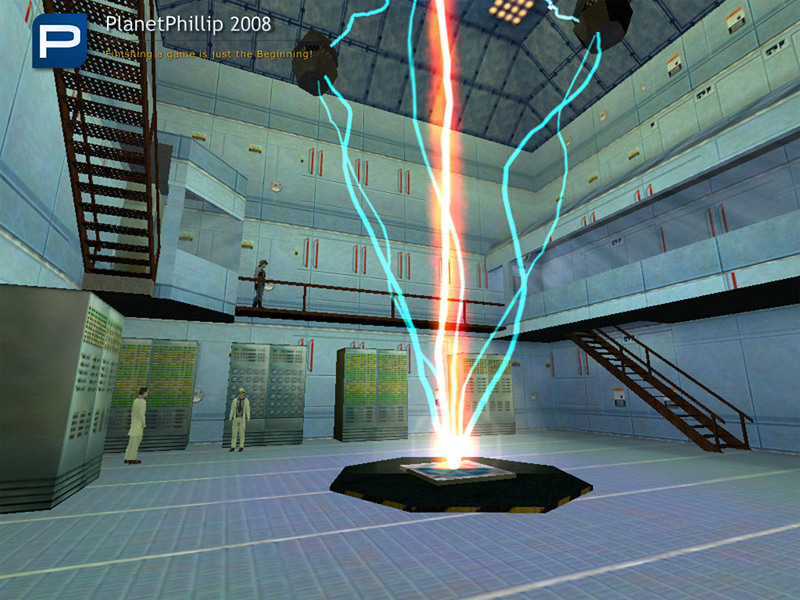 To complete the mission, you must reach a switch and shut down all power to the test chamber. After initiating the failed experiment, you witness a well-scripted sequence in which a pair of Gargs teleport into the chamber, crash out through a sealed door, and release several Alien Grunts that have been captured and are being held in the Laboratory. 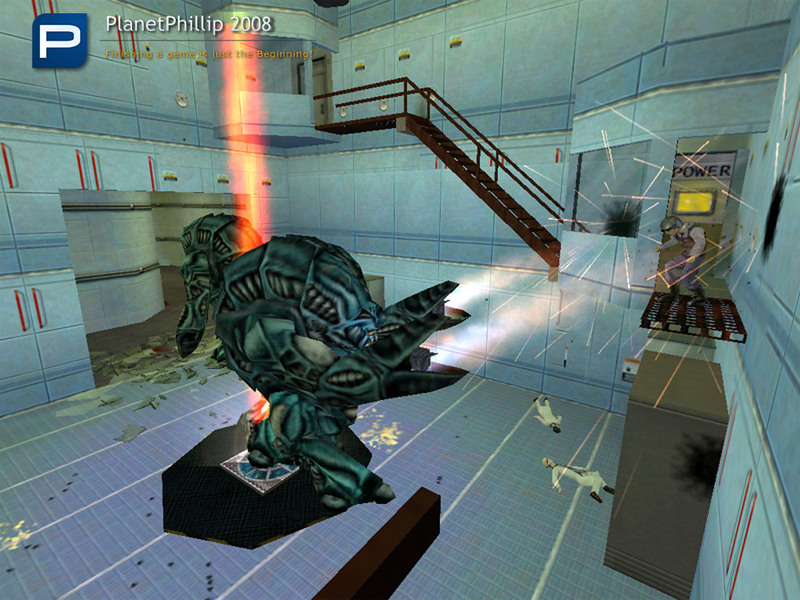 The gameplay and environments that follow will be familiar to anyone who has played Half-Life: a Head Crab-infested office complex, a warehouse filled with Assassins, and Grunts rapelling from above. If you are looking for something “different” you won’t find it here. 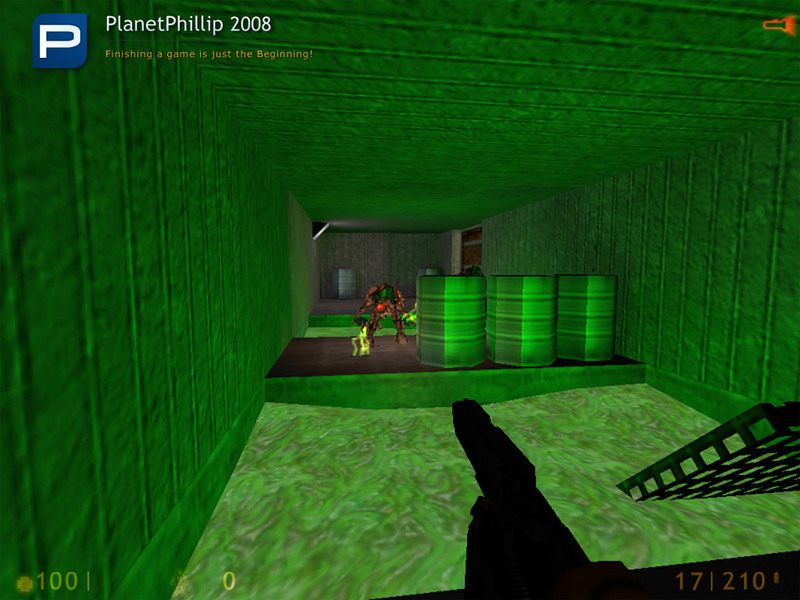 The level has been well designed such that the player can often look into or across to areas which will only later be accessible. Most of the environment feels natural, though one room with a glass floor, ceiling-mounted turrets, and a solitary table seems illogical. Also, a huge, ramp-filled room looks interesting but appears an unlikely, inefficient design for a laboratory. 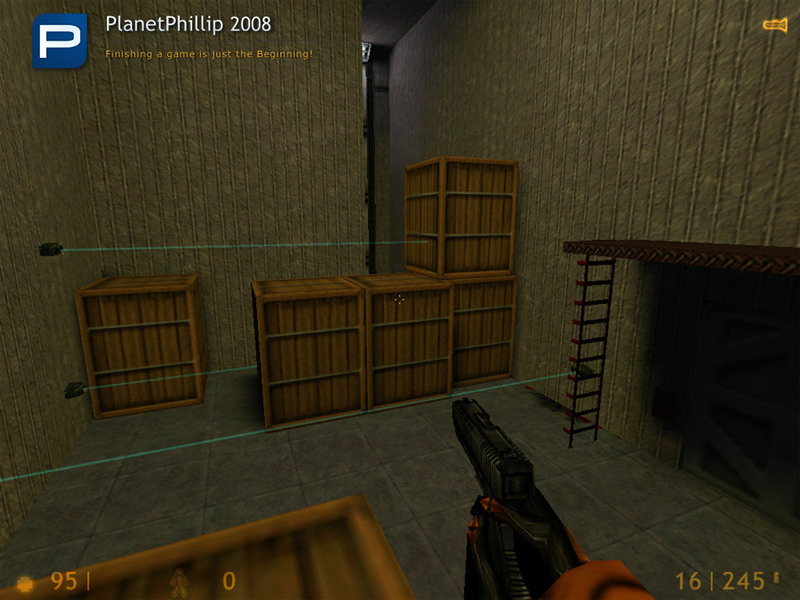 Texture selection and usage is unoriginal, though it works well to position the map within the Black Mesa facility. One disappointment is a lack of interactivity with the environment. Of dozens upon dozens of crates, I count only three that can be destroyed, and all three contain goodies. There is nothing else that is destructible, nor any weapons, etc. that are even remotely hidden. There are no instances in which anything must be pushed, pulled, or otherwise manipulated. Puzzles are rudimentary, consisting simply of pressing buttons to activate nearby doors. This review is republished here by permission and was originally published Sunday, 2nd January, 2000 by Nels. Very good map with non-linear combat. Long enough playing time because of a good plenty of monsters and puzzle design. Not very detailed, but it’s an OK for me.